Ntonpower wants to gift 3 of their fans with some of their amazing tech product. 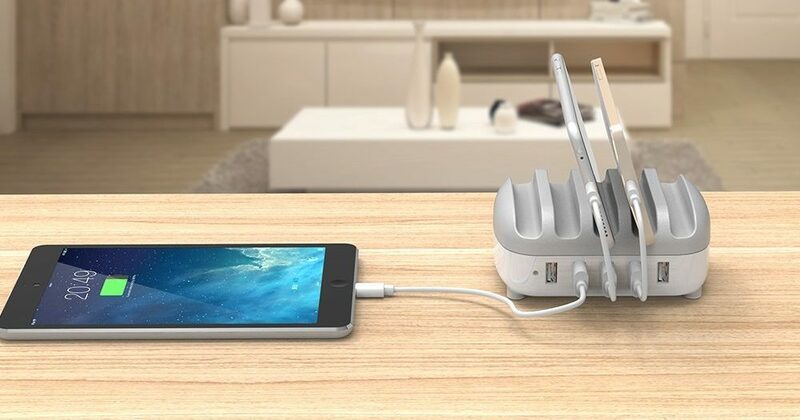 To enter in their latest USB Charging Docking Station Organizer Giveaway grab your free entries by following few simple steps listed down below! Intelligently identify all digital 5V devices on the market, automatically deliver the appropriate charge current, can reach safe, faster charging speed and without damage for your device. It’s compatible with all 5V usb devices. Charging demand of devices will be sent to inside smart IC, and the IC will intelligently output exact current to different devices. When you plug in a wrong device which probably require a current larger than 2.4A, the unit itself will cut off power automatically to avoid your devices being burnt by high current. When you forget to unplug your devices when they have already fully charged, the charging dock will cut off power of the USB ports for protecting batteries from over charging and extending their service life. STEP 2 – Like NTONPOWER Facebook page. STEP 3 – Comment on whom you will stay with and Tag him/her and share giveaway post.